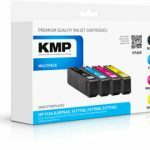 KMP has released a replacement inkjet cartridge, to replace HP’s 973X cartridge; the replacement is available in all four CMYK colours and are offered as high yield cartridges. It is for use in the HP PageWide Pro 450 series/452dn/452dw/452dwt/470 series/477dw/477dwt/552dw/570 series/577dw/577z/477dn. 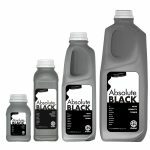 The company has also released a replacement black toner cartridge, replacing HP’s 79A cartridge. It is for use in the HP LaserJet Pro M12 series/M12a/M12w/M26 series/M26a/M26NW/M12. 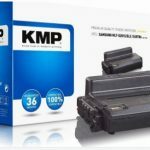 Furthermore, KMP has released a range of replacement toner cartridges, replacing Canon’s 046/046H cartridges; these are available in all four CMYK colours and come in either standard or high yield variations. These are for use with the Canon I-Sensys LBP-650 series/LBP-653cdw/LBP-654cdw/LBP-654cx/MF730 series/MF732cdw/MF733cdw/MF734cdw/MF735cdw/MF735cdwt/MF735cx/MF731cdw. 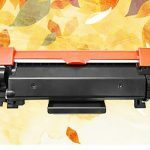 The company has also released replacement black toner cartridges to replace Kyocera’s TK3160, TK3170, and TK3190 cartridges. The replacement for the TK3160 is for use in the Ecosys M3145dn/M3645dn/P3045dn/P3055dn/P3060dn/P3050dn; the replacement for the TK3170, meanwhile, is for use in the Ecosys P3055dn/P3060dn/P3050dn. The replacement for the TK3190 is for use in the Ecosys M3660idn/P3055dn/P3060dn/M3655idn. Additionally, KMP has released replacement toner cartridges to replace Kyocera’s TK5240 cartridge; the replacements come in all four CMYK colours and is offered as high yield. It is for use in the Ecosys M5526cdn/P5026cdn/P5026cdw/M5526cdw. 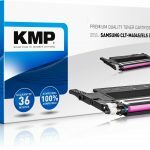 KMP has also released replacement toner cartridges to replace Kyocera’s TK5220 and TK5230 cartridges; these come in either standard or high yield variants, and are available in all four CMYK colours. They are for use in the Ecosys M5521cdn/M5521cdw/P5021/P5021 series/P5021cdn/P5021cdw. 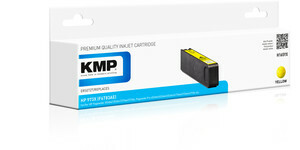 “If you want to keep within your budget, opt for cost-effective inkjet and toner cartridges by KMP,” the company added. For more information, visit www.kmp.com.